With the new Star Wars movie hitting theaters soon, I found it appropriate to fully engage jedi mind tricks. 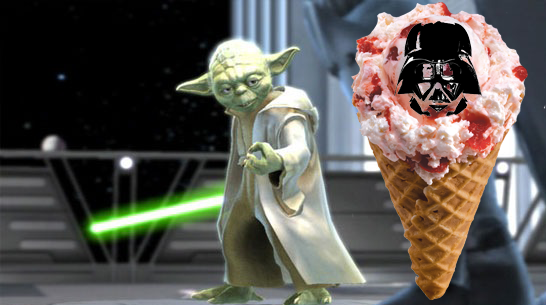 It’s time to use the power of the force to beat your food addiction. Food is a drug. This is an undeniable fact. 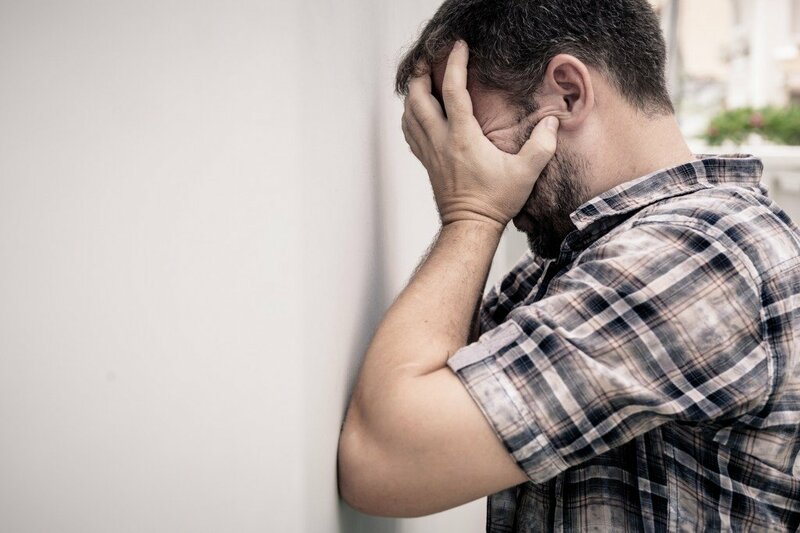 Like cocaine, you can become physiologically addicted and the body shows withdrawal symptoms. The body will also feel a “high” in the brain after consuming food. Eating when you’re emotional (stressed) produces real, physiological relief like taking a Valium. People are still suggesting to use willpower and discipline to fight cravings and beat food addiction, but that isn’t the solution. You need JEDI MIND TRICKS. In Mindless Eating, by Brian Wansink, PhD, he cleverly put many of us into five main categories based on our eating habits. Although categories aren’t new, his “catchy” category names can help you remember which kind of eater you are. A. The Meal Stuffer – Meal stuffers eat primarily during mealtimes, but they stuff themselves and eat to excess. They often eat so quickly that they’re uncomfortably full after. These are the people with “great appetites” and often go back for seconds. B. Snack Grazer – Snack grazers reach for food whenever it’s available. Convenience is usually the main reason. In other words, when food is available, they will constantly eat it as long as it’s there. 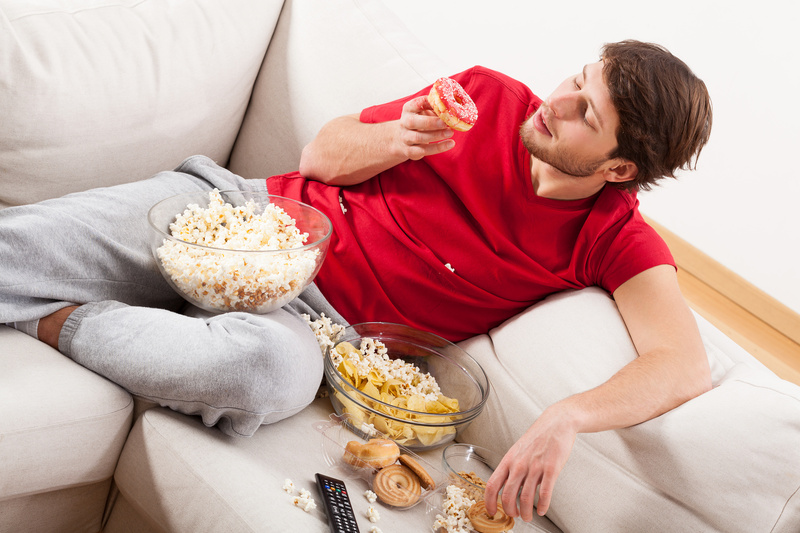 Snacking is sometimes a nervous habit or something to do when bored. It’s popular for them to snack when watching TV, on the computer or reading. C. The Party Binger – Party bingers usually work in corporate environments. 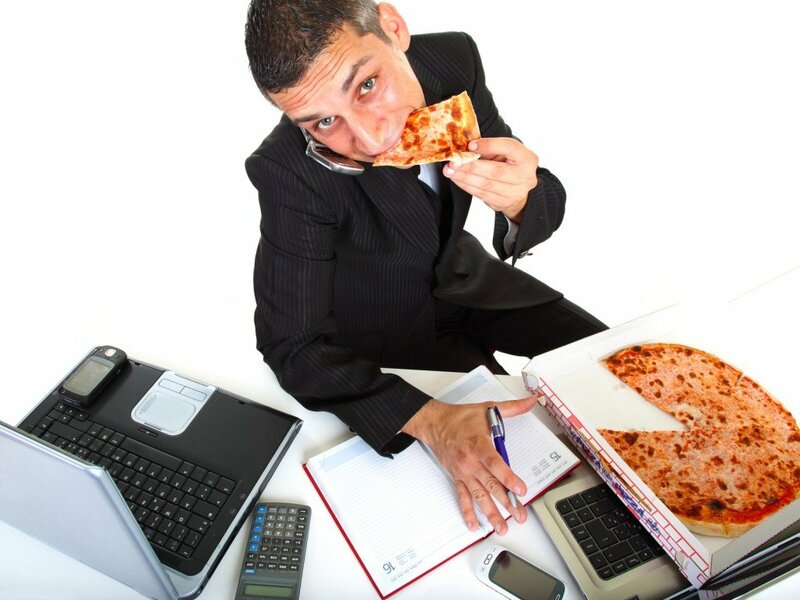 Food is either a backdrop for business or fun and it’s easy to lose track of how much they eat or drink. Lots of social events, happy hours and business meetings equals lots of food and eating out. D. The Restaurant Indulger – Restaurant indulgers are people who frequently eat out a lot at restaurants. Sometimes these are young college kids, other times they’re professionals who work a lot and don’t want to/don’t have time to cook. Thus, they eat out every day. Or, they simply enjoy restaurants – they eat whatever cuisine they want and don’t have to wash dishes. Restaurant dining is their simple life luxury. E. Desktop/Dashboard Diner – Desktop diners speed eat while multitasking on the computer or driving. They usually do it to save time, but also do it just to avoid the hassle of getting a real lunch. These people often eat alone and are more focused on the tasks they are working on opposed to what they are putting in their mouth. Now that you know your own eating type, avoid going to the dark side. Prepare for these situations by having escape plans and strategically build your day around them. What time of the day do I crave food? What moods make me crave food? In what situations do I usually over eat? With what people do I usually eat the wrong foods? Swap the routine. So, let’s say you know that you eat food when you’re bored. Every time you start to feel bored, find something to do. For example, if you’re at home and you’re tempted to stream Netlix and grab a bowl of popcorn, instead turn off the TV and go for a walk around the neighborhood. Or, make a task list of home chores that need to be done and start checking them off one-by-one. Be productive. Do you suffer from mental chatter? I know that I do. I have a lot of self-talk going on when I try to fight food cravings. The more you focus on trying to talk yourself out of something, the stronger it becomes and the more it steals your attention. One of the easiest things you can do in regard to your mind is change your mental chatter. I find that it’s helpful to not just “think” these thoughts, but to verbally say them. The mind is powerful, but what you say is even more powerful. Hear yourself say, “I don’t eat french fries or any fried foods” or “cheesecake will kill my gains.” It will quickly become part of your identity and pretty soon your mental chatter will end. This doesn’t mean you can never eat a treat again. First, you need to fully control the addiction. Never “reward” yourself with food. Though it may seem impossible now, once you stop eating unhealthy foods, your body will eventually stop craving it. Sugar is the biggest food addiction, so when you conquer that one, be proud of your accomplishment. The force is strong with you. Stronger than you think. Previous Post4 Tips To Avoid Workout BurnoutNext PostIs Alcohol Killing Your Physique?